Our mission at Legacy Monument Company is to provide a line of memorial products with the best possible value and the highest level of customer satisfaction without the pressures associated when dealing with a salesperson. We are committed to providing our customers with 24/7 access to a variety of cemetery memorial products to meet your needs, and the information necessary to make an informed purchase. 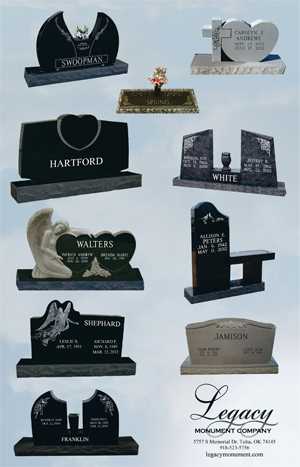 Most of our memorials are in-stock and ready to be engraved and shipped upon ordering. We stock only the best granite in the industry and feel we are unbeatable in terms of quality. 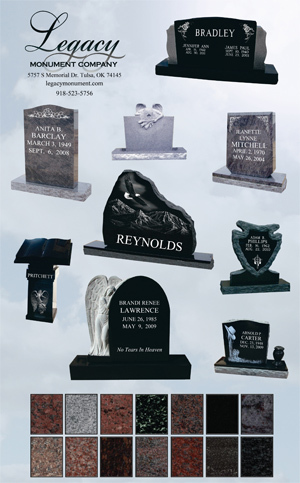 Each of our memorial product lines are available in any style or color by order.